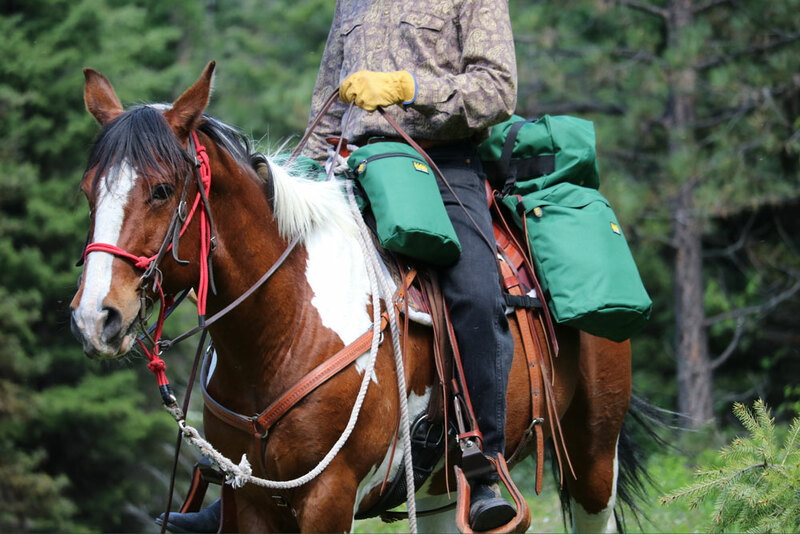 When loading your western or endurance saddle bags on your saddle, having equal size, equal weight and equal weight distribution of your saddlebags is vital. Remember, your saddlebags are dead weight and, therefore, cannot adjust themselves in the saddle like a rider. EQUAL SIZE: This is simple with all models of our TrailMax western and endurance saddlebags, as each side of the bags, regardless of design or material, are the same size. EQUAL WEIGHT: Once loaded, weigh each side of your packs to ensure they are within a few ounces of each other. A scale, such as the TrailMAX Packers Scale, is easy to read, lightweight and designed to allow one person to be able to weigh items, such as saddlebags, without assistance. EQUAL WEIGHT DISTRIBUTION: The more weight you carry in your horse saddlebags, the more important it becomes to balance them. If you must load one side of your saddle bags heavier than the other, be sure to hang something heavier on the opposite side of the saddle. Riding saddles want to slip to the heavier side and nothing is more uncomfortable, and potentially hazardous, than riding down the trail with the saddle off to one side. Using horn bags for heavier gear (such as water, camera, binoculars, etc.) puts more of the load over the front quarters, where the horse can carry it better, rather than in your horse saddle bags behind the saddle. Russ On: How Much Weight Can my Horse Carry?